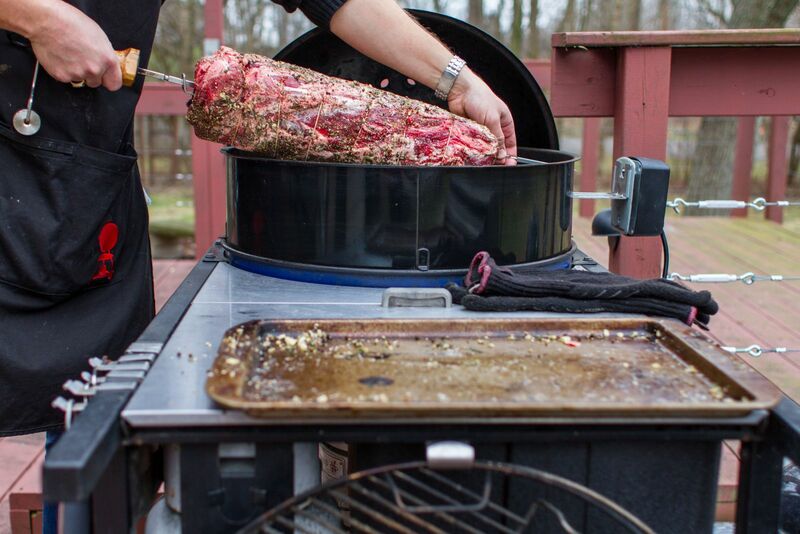 Probably one of the biggest challenges when grilling for groups of people is timing and by timing, I mean not only the timing of the food, but the arrival timing of the guests. Even though entertaining for a larger group invites some leeway compared to an intimate dinner for four, I don’t like to skimp on a quality meal. I want everything done as close to perfect as possible, even when dealing with an unknown eating time. One of my tried and true methods to make this happen is by use of the rotisserie. I’m always looking for “forgiving food,” meaning food that can be left on the grill for a slightly longer time without sacrificing the finished meal, or food which slowly comes to its finished temperature. While the is food important, even more so is the method. I find one of the more forgiving ways to cook most anything is with the rotisserie. 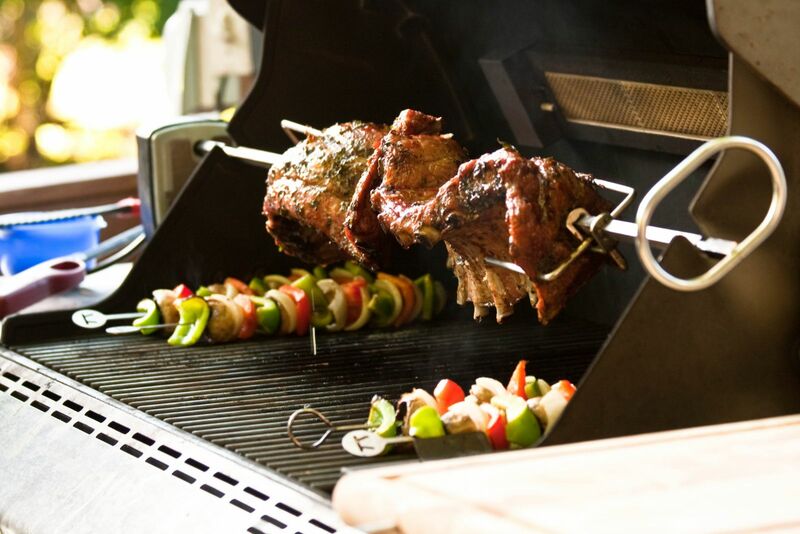 The rotisserie’s rotating action ensures not only an evenly cooked meal, but it’s self-basting ensures one that is juicy and moist. If my timing goes awack, I simply drop the heat and keep spinning. It’s successful every single time and when juggling a lot, which always happens when the dinner guest list grows, it’s one less thing to worry about. 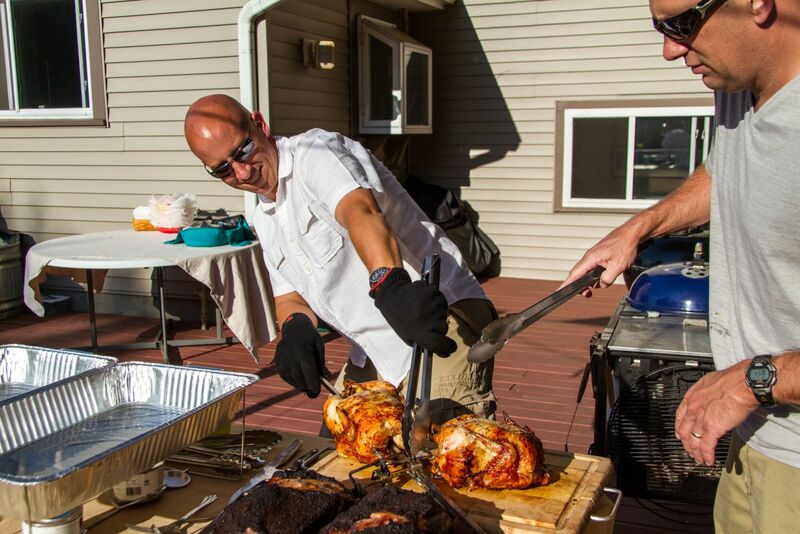 Whether it’s chickens, turkey breasts, ribs or roasts, the rotisserie is my secret weapon when grilling for a group. It’s always a dizzy success.